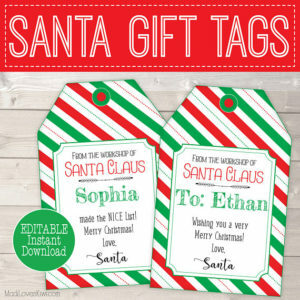 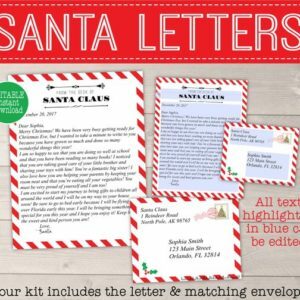 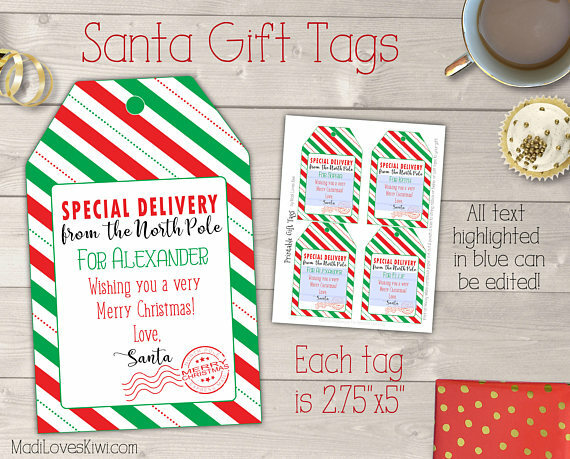 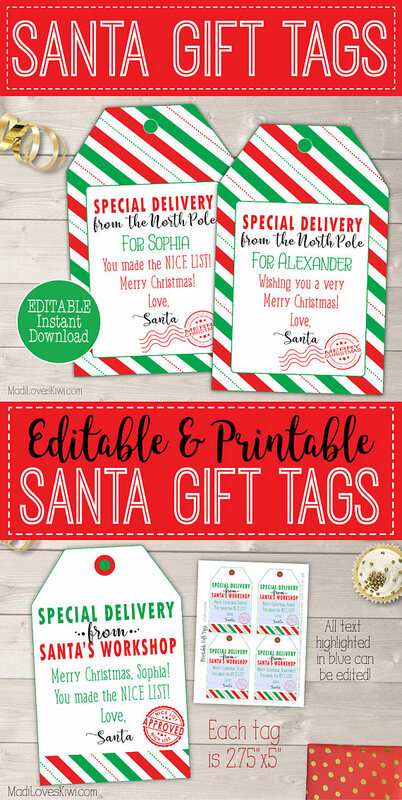 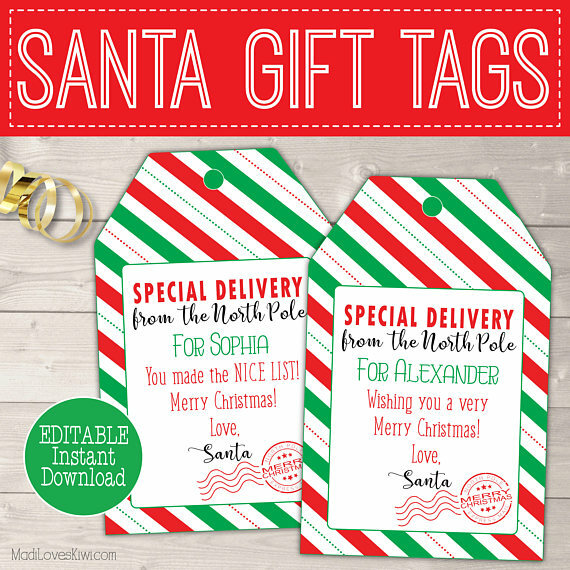 Give your children the full Santa experience with these printable Christmas Tags From Santa! 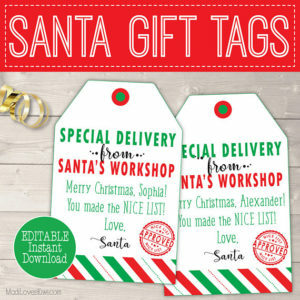 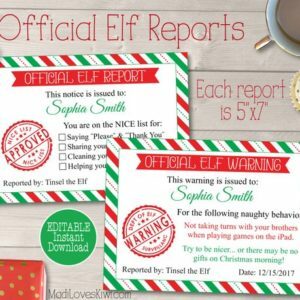 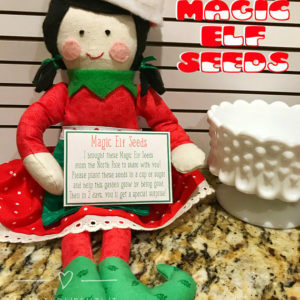 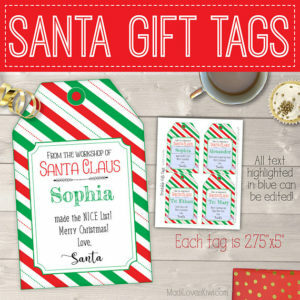 It’s easy to hide your handwriting by typing your message on each tag and your children will be delighted to see their personalized gift tags from Santa on Christmas morning! 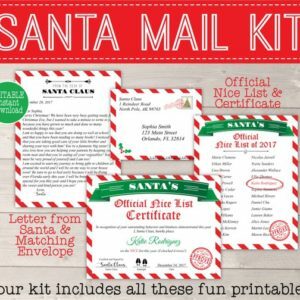 Bonus: you can save the file so it can be re-used every year! 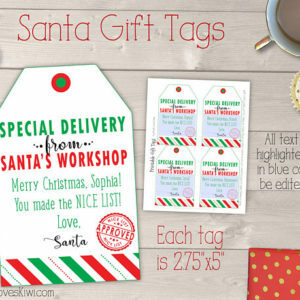 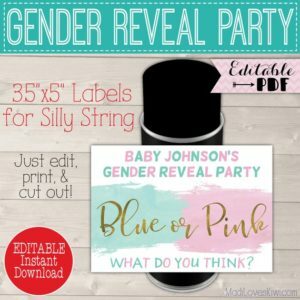 PDF with 4 gift tags per page, and each gift tag is 2.75"x5". 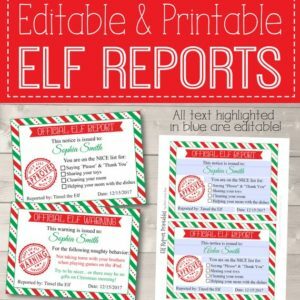 The files can only be edited using Adobe Reader. 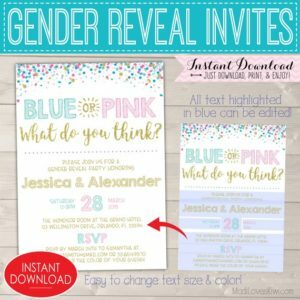 You CAN change the font size and color for editable text fields. 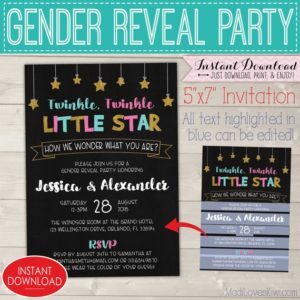 You CANNOT change text location or add extra lines of text. 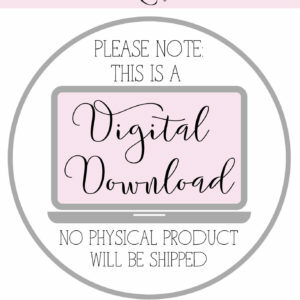 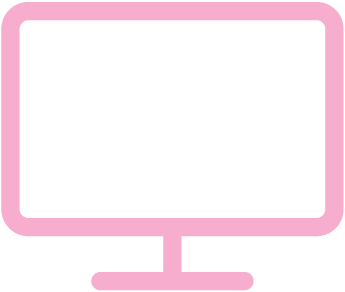 You CANNOT edit the printable files on a mobile device or tablet, you must use a computer. 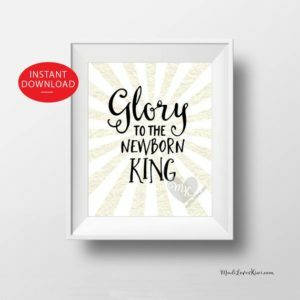 No font download is necessary. 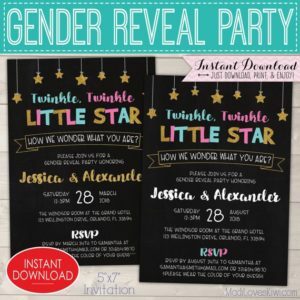 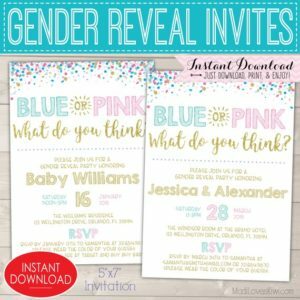 The fonts are embedded in the printable files. 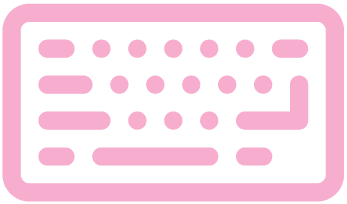 © Madi Loves Kiwi. 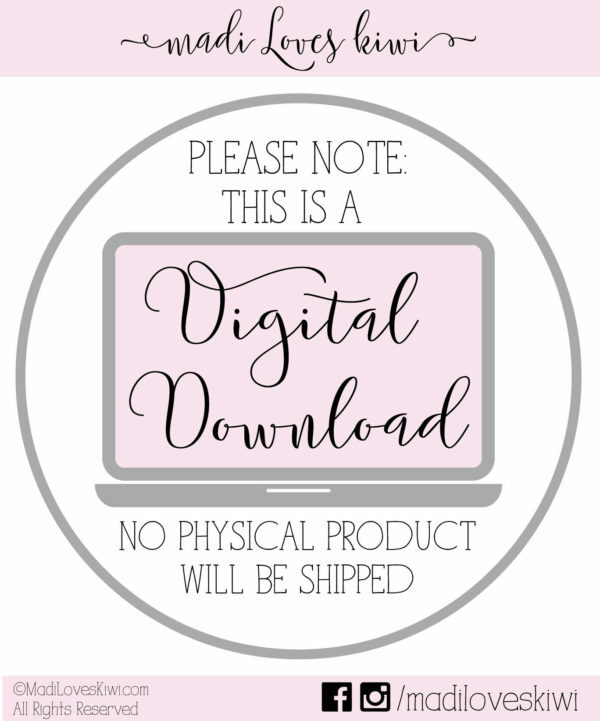 This artwork has been professionally designed by Madi Loves Kiwi and is for your personal use and enjoyment only. Please do not distribute or alter the artwork in any way.